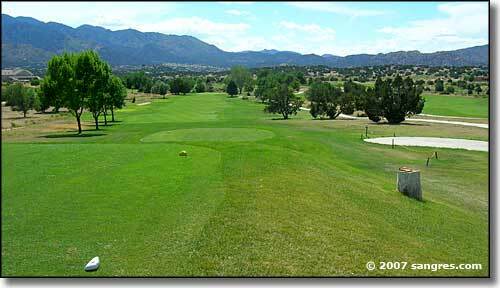 Shadow Hills Golf Club is an 18-hole golf course designed by Keith Foster and opened in 1959 on the southwest side of Canon City. 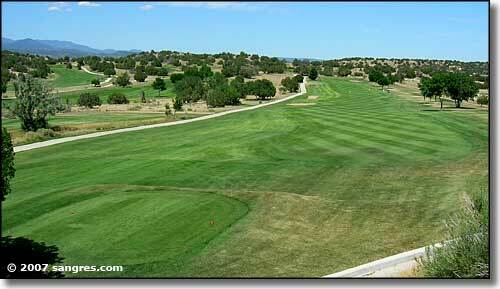 It's in a beautiful location right at the edge of town, near where the famous Oak Creek Grade begins. 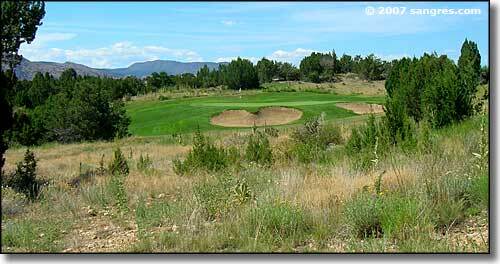 From the blue tees, the course runs some 6,410 yards. There's a beautiful clubhouse, good pro shop, great views and a nice swimming pool (it was cooking out the day I came for these photos, the pool was busy). 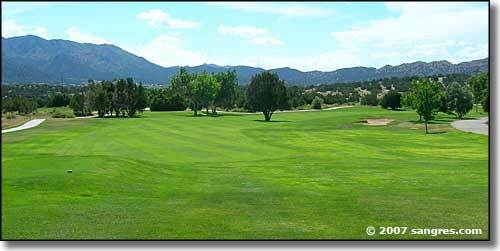 A round of golf played here is supposed to be (and usually is) a gratifying and relaxing experience (but there are days when I agree with Mark Twain's observation). 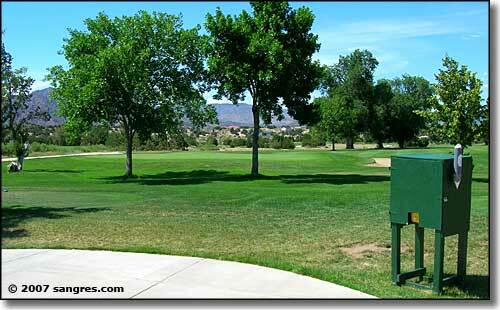 USGA rules apply, allow faster groups to play through, foursomes have priority, "short" shorts and "T" shirts not allowed, repair ball marks, repair divots and rake bunkers, use sand and seed containers, carts are not to be driven on "native" areas, as best you can, drive carts on cart paths, then drive directly to ball, the distance markers reflect a direct line to the middle of the green, and outside beverages or food are not allowed. Greg Dillon is the Club Professional, Donna Nordberg is the Club Manager and John Feeney is the Golf Course Superintendent. 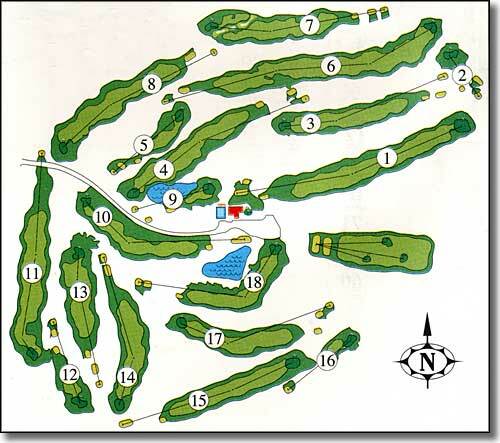 Links map courtesy of Shadow Hills Golf Club.